A chunky book, full of creative colouring and sticker activities for little children. 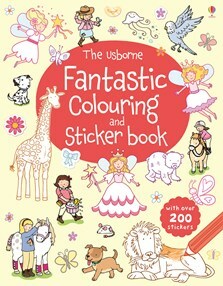 Scenes to colour and decorate with stickers include a stable yard of horses, animals in the forest and a fairy palace. With over 200 stickers of ponies and penguins, fairies, butterflies, dolphins and more.